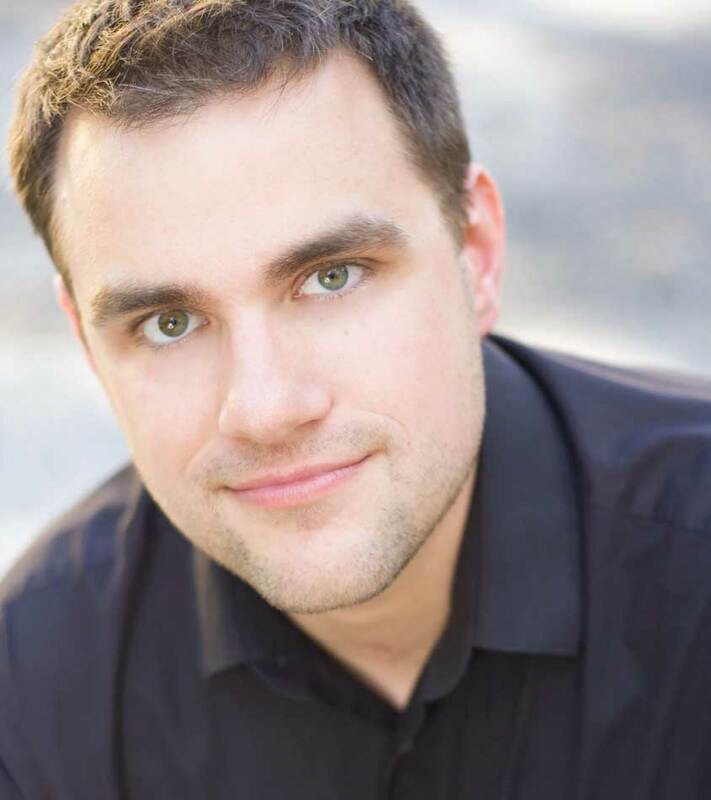 Matthew Anderson has been praised for the warm tenor voice and polished musicality he brings to oratorio, opera, and musical theater. An accomplished interpreter of the music of Bach, Mr. Anderson sings regularly as a soloist in Boston’s renowned Emmanuel Music Bach Cantata Series. He appeared at the Aldeburgh Festival as a soloist in the Saint Matthew Passion and spent several summers at the Carmel Bach Festival, where he was featured as a Virginia Best Adams Fellow and aria soloist in the Saint John Passion. He has received particular acclaim for his portrayals of the Evangelists in Bach’s Passions, which he has performed throughout the United States. Mr. Anderson is a two-time prizewinner in the American Bach Society Competition and winner of the second prize in the Oratorio Society of New York Solo Competition, in which he also won the Westenberg Award for 18th Century Stylistic Interpretation. Recent performances from Mr. Anderson’s varied repertoire include Handel’s Acis and Galatea (Damon) with the Mark Morris Dance Group; Bach’s Coffee Cantata with Boston Baroque; Mozart’s Requiem with the National Chorale at Avery Fisher Hall; Stravinsky’s Renard at Tanglewood and the Mostly Mozart Festival with the Mark Morris Dance Group; Handel’s Messiah with the Masterwork Chorus at Carnegie Hall; John Harbison’s Winter’s Tale with the Boston Modern Orchestra Project; Haydn’s Creation and Bach's Saint John Passion and Christmas Oratorio (Evangelist) with Emmanuel Music; Britten’s Serenade with Discovery Ensemble; Bach’s Saint John and Saint Matthew Passions (Evangelist) at Princeton University, Boston University, and the University of Chicago; A Little Night Music (Mr. Erlanson) with Emmanuel Music; and Britten’s Les Illuminations with The Orchestra of Indian Hill. He has sung with conductors Masaaki Suzuki, Nicholas McGegan, Paul Goodwin, Harry Christophers, Martin Pearlman, John Harbison, Craig Smith, Julian Wachner, and Laurence Cummings and appeared as soloist with ensembles such as the Handel and Haydn Society, Boston Baroque, the Buffalo Philharmonic Orchestra, Cantata Singers, Musicians of the Old Post Road, Back Bay Chorale, the New Bedford Symphony, and the Handel Choir of Baltimore. Also recognized as a gifted performer of the American songbook, Mr. Anderson won high praise for his performances with Keith Lockhart and the Boston Pops in Carousel (as Mr. Snow), A Richard Rodgers Celebration, and An Evening of Cole Porter. Mr. Anderson spent two seasons as a vocal fellow at the Tanglewood Music Center and was a Lorraine Hunt Lieberson Fellow with Emmanuel Music. He also trained in the James Collier Apprentice Artist Program at Des Moines Metro Opera, the Britten-Pears Young Artist Programme, and the Cincinnati Opera Resident Ensemble. Mr. Anderson is a Kansas native and resides in Boston, where he studied Classics at Harvard and voice at the New England Conservatory. Visit www.matthewandersontenor.com for more information.